Yemen has experienced violence and poverty in recent decades, but for centuries was a pivotal crossroads for trade and travel. Once the center of civilization, commerce and wealth on the Arabian Peninsula, Yemen prospered through agriculture and the cultivation and marketing of spices and aromatics. In the twentieth century, Yemen was cleaved in two separate nations along a north-south divide. North Yemen had been part of the Ottoman Empire and became independent when the Empire collapsed in 1918. South Yemen was under British control until Britain withdrew in 1967. The U.S. established diplomatic relations with the Kingdom of Yemen (North Yemen) in March 1946 and appointed an American Special Diplomatic Mission. Thirteen years later, the U.S. established an American Legation, elevated to Embassy status in 1963. In South Yemen, the U.S. established diplomatic relations and an embassy in Aden in December 1967. In 1990, the two Yemens combined to form the Republic of Yemen. William A. Rugh served as ambassador at the U.S. Embassy in North Yemen from 1984 to 1987. He was interviewed in March 1996 by Charles Stuart Kennedy. To read more about the Middle East, post-colonial disputes, Yemen and the War on Terror or an account of Saudi Arabia vs. Egypt in North Yemen, please follow the links. South Yemen, where we had no diplomatic relations, was a country that we regarded as a Marxist state in the pocket of the Soviet Union. At the time, it was the state that was the most hostile to the United States politically. It was not a terribly important state, but its political coloration marked it as a country that was a threat to American interests. So, I was being accredited to North Yemen right next door to a country that was seen as an outpost of the Soviet Union. This was still Cold War times. So, the background music of the assignment was work closely with North Yemen, strengthen American-North Yemeni ties, and keep an eye on South Yemen, which we regarded as a threat not only to the United States, but to our friends in the region, including the Saudis. The Saudis were very concerned about South Yemen. 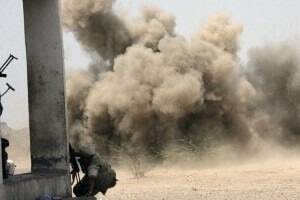 South Yemen, for example, maintained training camps for terrorists of various kinds, including Palestinian terrorists who were sent north after receiving training. We regarded this as a threat to our friends in the region and ultimately a threat to the United States. So, we were watching that very carefully. The relationship between North and South Yemen we knew was a tense one. North Yemen was not really in the American camp and didn’t have a pro-American regime the way some others in the region did (Saudi Arabia, for example), but it was not aligned with the Soviet Union. 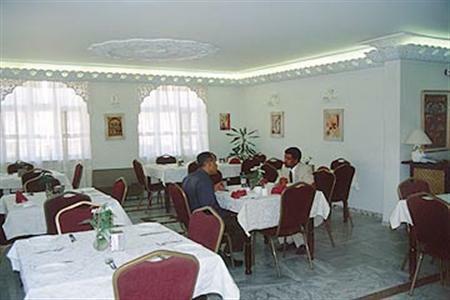 The Department of State regarded it as important to help keep the North Yemenis cooperating with us and working also with their neighbors. Another factor in this mix was our very strong relationship with Saudi Arabia, the largest and wealthiest and most powerful on the Arabian Peninsula, and a country which on the surface had cordial relations with Yemen, but underneath there was always a certain amount of tension between Saudi Arabia and North Yemen. The regime in Yemen was an Arab nationalist regime which had thrown the British out and then continued on the path of hostility to foreign intervention and was persuaded by Moscow that the Soviets could help them in maintaining their independence….So, the Soviets over the years after the expulsion of the British in the mid-1960 developed a very close relationship with South Yemen playing on Arab nationalism and hostility to British colonialism. There was some self-interest on the part of the South Yemeni leaders who profited from the relationship with the Soviet Union and as a poor country found it helpful to be hostile to the West in order to get Soviet assistance. I guess we didn’t realize at the time (certainly I didn’t, even sitting in Sanaa) how one-sided the Soviet relationship was. That is to say, it was entirely military and political, but not economic. The Soviets did not invest in the economic development of South Yemen. I visited South Yemen later, just a couple of years ago. It was pretty clear from spending a week there that the Soviets in their long association in South Yemen between the mid-1960s and the late 1980s had not built South Yemeni infrastructure, had not invested in anything except the military. They had given or sold the latest military equipment to the South Yemenis and trained their military so that this tiny country had for its size a fairly respectable military force, but the economic infrastructure wasn’t there. The Soviets had simply exploited it as a military base. Their presence was fairly substantial. They had Soviet military advisors, aircraft, listening posts, and monitoring facilities in the country as their quid pro quo for providing military assistance. I had assumed, sitting in Sanaa when I got there, that the Soviets were also providing them with economic assistance. The propaganda coming out of the South was that this was a wonderful economic and social experiment in modernization and socialist revolution, but that was all propaganda. 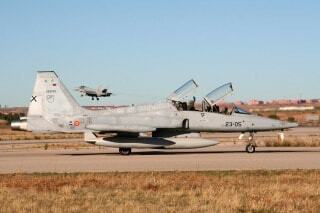 There wasn’t anything there except a military relationship…. Yemen is a very traditional country, poor, has not had the oil wealth that all of the other states of the Arabian Peninsula have had. It has the largest population of any country on the Arabian Peninsula. At the time, it was about seven million people, more than Saudi Arabia or any other country. The oil that that had been discovered in 1984 was limited. That oil wealth didn’t go around very far. A major source of wealth was remittances from Yemeni workers in Saudi Arabia and the Gulf states. So, it was a country that was dependent on its remittances, on the labor of its labor force, and to a very large extent on foreign assistance…. One thing that struck me when I arrived was that they were asking each of us for assistance of all kinds. To some extent, they would ask several countries for the same money for the same project. So, we realized that we needed to get together and have an informal donors group to compare notes. We met once a month. We all talked. The Russians weren’t included. They didn’t want to join us because their assistance was military and they didn’t believe in sharing information. But the Europeans got together. The UN was there. Informally, we talked to the Arabian Peninsula Arab countries to see what the Yemenis had asked for lately and to try to coordinate our policies and decide if they asked two or three countries for the same project, we would decide who would respond. We shared that. It was a country which was different in some respects from other places I had been… There are 50,000 villages in Yemen. The average village has 100 people in it. 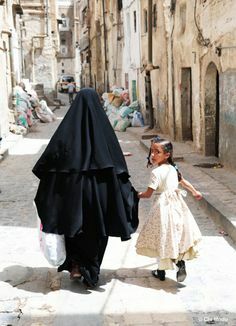 The Yemenis have not migrated to the cities in large numbers and created huge urban metropolises. They don’t like the cities. One thing that surprised me a little bit when I arrived was the heavy security influence over our activities as an embassy. I didn’t expect that. I had lived in Egypt during the Nasser period and that was expected. I didn’t think Yemen would be like that, but in fact the Yemeni security authorities were watching us so closely and watching every embassy so closely that it made contact work difficult. I lived on the embassy compound in a nice old Yemeni house, a beautiful house. 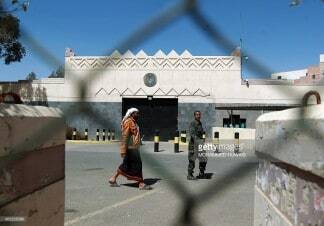 I would invite Yemenis to come to lunch or dinner and every one would be stopped at the gate by a Yemeni security officer asking him for his ID (identification) card and writing down his name in a little book and asking why he wanted to come and see the American ambassador. So, this had a deterrent effect on contacts. I found it much easier to meet Yemenis outside of the compound, which limited my access. So, he got together a list of Yemeni businessmen. We hired a hall in the local hotel, the best hotel, sent out invitations. The Foreign Ministry heard about it and said that I should not have done that because the invitations should go through the Foreign Ministry. So, I sent them out again through the Foreign Ministry, hoping that they would be passed on, but not relying entirely on them. I made phone calls around to the invitees to say, “If you didn’t get an invitation, you’re invited on such and such a day to lunch and we would like to meet you.” There were about four of us from the embassy who went to the lunch expecting a crowd of 30-40 businessmen out of an invitation list of maybe 50. The one who did show up ignored those warnings, came to the lunch. We had a lunch of five people, four of us from the embassy and one Yemeni. After the lunch, that brave businessman was taken off to the intelligence headquarters and interrogated until midnight as to why he was fraternizing with the Americans. Well, I thought that was an unfriendly thing for the Yemeni authorities to do and I protested to the Foreign Ministry. They never responded in a satisfactory way. They were overzealous in their concern about our contacts with Yemenis. The Russians had very good contacts among the military because most of the Yemeni military officers had been trained in the Soviet Union. It was a curious bifurcation of the senior leadership in Yemen, I thought. If you look at the background of the top level, the elite, in Yemen, all of the military almost without exception at the top levels were trained in the Soviet Union and the Eastern Bloc. They had never been to the United States. 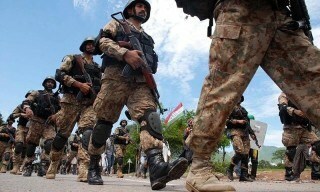 They were getting Soviet military equipment which they knew and they had been trained on. So, they were totally oriented in that direction. We found it difficult to even communicate with them. I didn’t find them very friendly. The other half of the government, the civilian side, the Economic Minister, the Foreign Minister, the Prime Minister, were all Western trained. The Foreign Minister had a Ph.D. from Yale. The Prime Minister had a master’s degree from Colorado. They spoke fluent English. They understood us when we talked to them. When I made a demarche with the Foreign Minister about American policy, I didn’t have to explain very much. He knew exactly what I was saying and where I was coming from. He was a very talented and effective foreign minister, who understood Americans. We tried to encourage others in the government that would talk to us, including the President, to think carefully about their close relationship with the USSR … and to be wary of the Soviet connection. 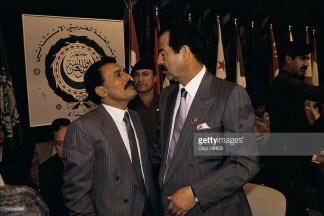 President Ali Abdullah Saleh (seen right), who is still in power, was a person who bridged both of these groups. He had not been trained in the Soviet Union and he had not been trained in the United States. He was a tribal person who rose up through the military ranks and had some vested interest in the Soviet relationship because of the military connection. But he was not a person who was pro-Soviet in that sense. I think he was maybe innately suspicious of all foreigners, including the Soviets. He believed that we were so close to the Saudis that whenever he had a difference of opinion or a dispute with Saudi Arabia, we would take the Saudi side. I tried to dissuade him from this view. I don’t think I succeeded. He was convinced that we were automatically supporting the Saudis if there was any dispute. I would say to him, “We make our own decisions in Washington about our bilateral relationships. 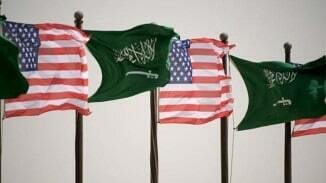 We have excellent relations with Saudi Arabia, but it is not a zero sum game. It doesn’t mean we have bad relations with you. We support your independence as we support the independence of Saudi Arabia.” He was never quite convinced because he was so concerned about Saudi intervention in Yemen. It was a curious fact that while he was receiving direct subsidies from the Saudi government, tribes along the northern border were also receiving subsidies under the table from the [Saudi] government. He knew that and that worried him. 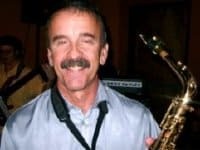 He had had connections with the Saudis from the beginning. They supported him when he came to power in the late 1970s. He told me that the Saudis didn’t respect his independence. He said, “The Saudis don’t realize that Yemen has grown up. They are treating me like a child instead of a brother.” That rankled. From time to time, there was a period of increasing tension between Saudi Arabia and Yemen and he hoped that we would support him. There were questions about where the border was, for example. These are classic Arabian Peninsula questions. The official border according to our understanding had been delineated only part way between Najran (seen right) and Jizan… But east of Najran through the desert, north of the area which was now an oil concession in North Yemen, there was no officially demarcated border. 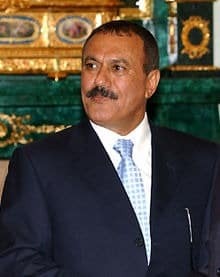 When there was a dispute, Washington instructed me to go to Ali Abdullah Saleh and discuss it with him, ask him what his intentions were, what his view was of where the border was, and so on. So, one day, I went to see him and I brought a map with me to try to pin him down as to where he asserted his border was. He said, “You’ve done a terrible thing in doing this map. You’ve put this border right here.” He pointed to where we had indicated the border was. He pointed to just south of Riyadh. I knew that he was trying to make a point that we shouldn’t interfere and arbitrarily give the Saudis any more than he wanted to bargain for. My view at the time (still is) was that he was not saying that he wanted to take over southern Saudi Arabia, but that he wanted to leave his options open in any negotiation with the Saudis and didn’t want anybody to preempt him. I happened to know at the time that a map had been published in Saudi Arabia showing Saudi Arabia encroaching way down into Yemen. I didn’t mention that to him, but I thought he probably knew that. So, it was a matter of some sensitivity. When the Saudis came even a few kilometers across the arbitrary line that we had on our map, he reacted, complained, and protested. So, I knew that our line was pretty accurate, but he didn’t want to make any official concession until the issue was sorted out. It still hasn’t been sorted out. We only intervened politically in encouraging both the Saudis and the Yemenis to come to agreement between themselves, to negotiate it in a friendly fashion. The Yemenis asked us to put pressure on the Saudis to be reasonable. The Saudis, in effect, told our embassy in Riyadh that it was none of our business, to stay out of it completely. All of our reporting on any of these issues went laterally as well to our ambassador in Riyadh. He reciprocated, gave us his reporting on Saudi conversations relating to Yemen. I went up there and Ambassador Cutler came down to Yemen. We consulted often. But the two protagonists didn’t really want us involved unless we were going to take their side. So, our main effort was to try to get them to talk together in a friendly fashion. They were tense. Since they were two different types of regime and two competing Yemeni administrations who knew each other well personally but didn’t trust each other, they were always tense. The tension reached a crisis stage in January of 1986 when there was a coup d’etat attempted in South Yemen, a very bloody one. A cabinet meeting was shot up by one of the political leaders in the South and a number of South Yemeni ministers were killed. 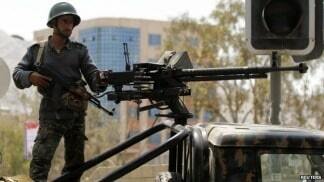 The Prime Minister fled to North Yemen and took refuge in the North, which didn’t improve relations. In fact, it was a cause of some tension. 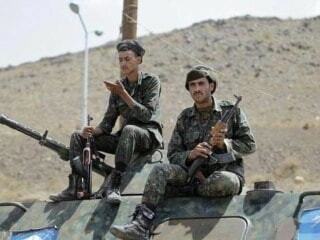 Yemen has a small population, but they had a fairly substantial military. We thought at the time that the militaries were roughly comparable. The North had more men, but the South, we thought, in any conflict, would be able to hold its own – certainly, if the conflict were carried out on South Yemeni territory. We were concerned that a conflict might break out, the Soviets might intervene, and then we would be faced with the choice of how to deal with that question of a North-South conflict with the Soviets on the side of the South. It didn’t happen, but there were thousands of South Yemeni refugees who came North and were in camps along the border. They were itching to go back and fight against the regime. The North was tempted to send them back in, but hesitated because they weren’t convinced that they could overwhelm the South. So, it was a very tense period in the spring of 1986. Since we had good relations with North Yemen and no relations with South Yemen, we conferred very closely with the North on the crisis, on the conflict. The North Yemenis wanted our assistance. We had provided a little bit of military assistance in the form of mostly some F-5 fighter planes, and they wanted more. They wanted intelligence about what was going on in the South and we discussed that with them. They wanted our undivided attention and support against the South. We didn’t want to provoke a conflict or encourage a conflict. In fact, we encouraged a peaceful settlement of the dispute. There were some tensions between North Yemen and the Soviets. The North Yemenis were accusing the Soviets of backing the wrong horse and there were words exchanged between the senior officials in North Yemen and the Soviets as far as our reporting could find out what was going on in those conversations. So, it was a period of tension between North Yemen and the USSR. The Soviets had trouble explaining what was going on in the South because the North Yemenis assumed that the Soviets were in control in the South and could restrain the South Yemenis if they wanted to — and why weren’t they doing so? It is a little bit parallel to the Arab belief that the United States can control the Israelis and why aren’t we doing it? So, there was a bad patch for the Soviets in North Yemen during this period. We certainly didn’t hesitate to remind the North Yemenis that South Yemen was a Marxist Soviet outpost. They knew that. They were more focused on the tribal and personal conflict, but we pointed out that the South Yemenis were fully armed by the Soviets and we encouraged them to put pressure on the Soviets to put pressure on the South Yemenis, which they did, or tried to. That is an interesting question in light of what happened later. The North Yemenis supported Iraq… I know that North Yemen actually sent troops to Iraq. We thought at the time that it was the only contingent of actual fighting forces from any Arab country that went to the front and tried to help Iraq. The Yemenis distinguished between different people at the embassy, assuming that the USIS personnel were not the threat that the ambassador and the political officer were. So, the political officer, the DCM, and I had a difficult time making contacts, but the PAO didn’t. He had very good access. They regarded him as a benign cultural officer. I said, “Why don’t you stay on as PAO?” and he did. We worked it out with the [United States Information] Agency [USIA] so that he would have an assignment as PAO. He liked it so much that he converted to USIA from State and he is still with USIA and has had a very distinguished career. We wanted to track Yemeni political, economic, and foreign policy developments, their relations with the various other countries, including in particular the Soviet Union. The hardest information to collect was what was going on between North Yemen and the Soviet Union. But we were also interested in knowing what the North Yemenis were thinking with respect to South Yemen and to Saudi Arabia, their two immediate neighbors. Those were more important to them than anything else. So, we sought through official channels to keep track of these relationships and through personal contacts to the extent that we could. Yemenis are, if you can generalize, independent of their own government and, in private, willing to talk and, to the extent that they knew what was going on, they would talk, if we could sit with them. 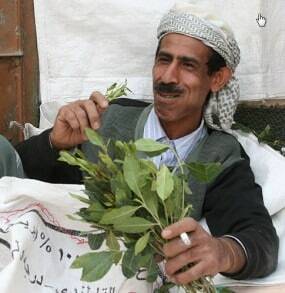 The Yemeni qat chew is an occasion where people of all kinds come together. It is very democratic. Ministers, drivers, and others sit together and chew qat. They tend to talk. So, we went to qat chews. The effect of qat is very mild compared to almost any other kind of stimulant. If you chew qat for three or four hours, it’s like drinking a few cups of coffee. It’s a stimulant. It keeps you awake. The way to get the effect of this is to stuff qat leaves in your mouth and chew them and chew them and leave the leaves in your cheek and the juice from the leaf is swallowed. You can chew for an hour and not feel any effect at all. It affects people differently. If you chew for two or three hours, you begin to feel slightly euphoric, more talkative than usual, and it makes you feel good. But certainly nothing compared to more serious drugs and the effect takes so long that you have to sit there and chew for a long time. I went to several qat chews and only chewed a little bit and didn’t feel anything at all at first. It was only after chewing for hours that I felt it. It’s not easy particularly for a novice and it’s not terribly pleasant. You get very thirsty, so you have to drink a lot of water or Pepsi-Cola. They tend to smoke a lot when they’re chewing. If you’re not a smoker, that’s not great. If you go into the bazaar, the souk, in the afternoon, typically, you’ll see a shop owner sitting on the floor in the back of his shop chewing qat and he won’t have the slightest interest in selling you anything. You sort of have to make your way around the shop and persuade him to take your money because he is enjoying his afternoon qat chew. It’s better to go in the morning when he’s interested in bargaining and talking to you. It (Yemen) was an authoritarian regime, no elections, no political parties, no interest groups, no independent newspapers. All of the media were controlled. The political life was behind the scenes. It really involved tribal leaders and other political leaders who made deals with the government and with each other behind the scenes. The Yemeni government was not entirely in control of the whole country of North Yemen because the tribal leaders had enormous authority outside of the major cities. For example, rural criminal cases were adjudicated, in effect, by the tribal leader, not by the court system. The police didn’t do law enforcement outside of the major cities. If somebody committed a crime (theft, murder, assault, etc. 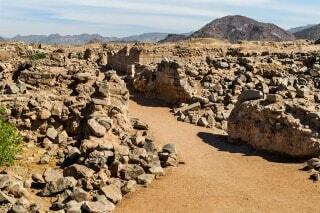 ), the tribe dealt with it outside the cities, not the central government. So, that, in a sense, was the politics of North Yemen. In a couple of conversations I had with the President of North Yemen, we discussed democracy and elections. He told me in no uncertain terms that he was opposed to both. The idea of competing political parties was inappropriate because it would divide the nation and you needed national unity. He didn’t see why you needed an opposition party when you could have one party that represented the national will. Why have more than one because there is only one national will and you certainly don’t need elections. The Yemeni women participated in the government. There weren’t any ministers, but they were in some important positions in the various ministries. And they were in business. Yemeni women, unlike Saudi women, were allowed to drive cars. 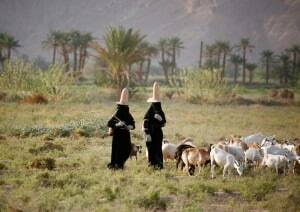 Yemeni women certainly throughout the country in the rural areas provided most of the workforce. They were working in the fields while the men were chewing qat. The men did some agricultural work, too, but the women certainly carried the bulk of it. If you lived in a small village on top of a mountain and the only water supply was down in the valley, it was a woman who went down the mountain and carried the bucket of water back up on her head. They were tough, independent, hardworking, and industrious. But also in the cities, women were involved. They dressed modestly in public and they were conservative in their social behavior, but they were involved in the economy.